Audi Burlington in Burlington, MA treats the needs of each individual customer with paramount concern. We know that you have high expectations, and as a car dealer we enjoy the challenge of meeting and exceeding those standards each and every time. Allow us to demonstrate our commitment to excellence! Our experienced sales staff is eager to share its knowledge and enthusiasm with you. We encourage you to browse our online inventory, schedule a test drive and investigate financing options. You can also request more information about a vehicle using our online form or by calling 7812023400. Get the first-class treatment and expansive vehicle selection you deserve by visiting Audi Burlington today. 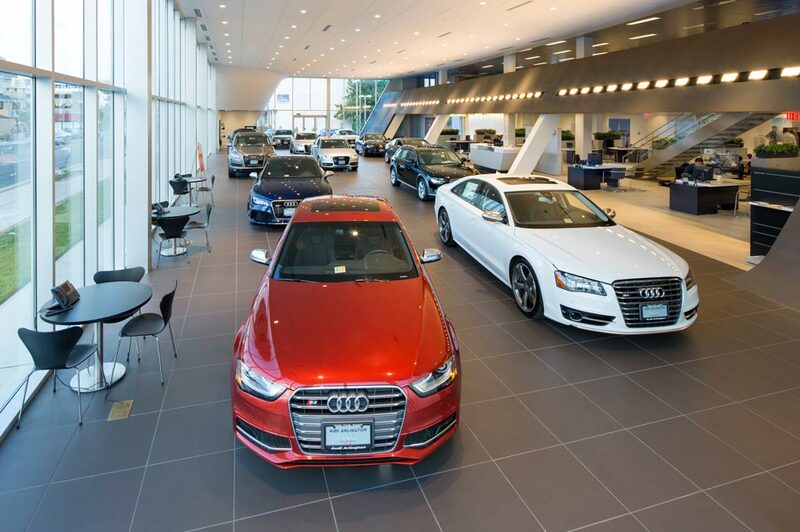 Our Audi dealership in Burlington, MA, a Herb Chambers Company, is dedicated to providing a perfect car-shopping atmosphere, and our staff goes above and beyond to guarantee our guests are completely satisfied before leaving. Come pay us a visit and see why so many Bay State shoppers count on Audi Burlington for assistance! When you're shopping for a new luxury car, there is simply no better place to look than the inventory of new and used Audi models at our Massachusetts Audi dealership. You can schedule a test-drive to get behind the wheel of your favorite new Audi vehicles, and our Audi sales specialists will be happy to guide you around, showing you all your options. From the new Audi A3 and A6 sedans to the Audi Q5 SUV and more, we're confident we have something for every driver. Herb Chambers SMART Pricing also sets us apart from the competition, as you always get the best price first. Plus, we have pre-owned Audi sedans, coupes and SUVS, in addition to used cars from other makes, ensuring that every budget-conscious shopper has an option. Come speak with the Audi finance experts about car loans and Audi lease options, and we'll have you driving off the lot in no time! Keeping your vehicle maintained is an important task, and you can always rely upon our professional Audi service technicians for the car care you need. Book a service appointment today and we'll get the job done, whether you need a quick oil change or extensive engine repairs. You can also head to one of the three Herb Chambers Collision Centers locations in area if you need the expertise of a body shop. Just need to buy genuine Audi parts and accessories? Order them online today! Located at 62 Cambridge Street, Exit 33B off I-95, in Burlington,MA, our Audi dealership is easy to reach for drivers from Woburn, Billerica, Lexington, MA and Waltham, MA. Come visit Audi Burlington today for a true luxury experience!